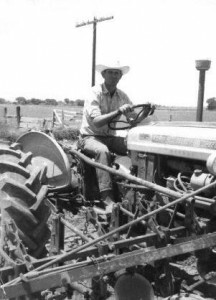 Editor’s Note: Beginning in January, Arizona Farm Bureau began a series of articles celebrating Arizona’s Centennial and the state’s agriculture history. We hope to continue the article series on Arizona Agriculture through the year. And, we want to share with our Fill Your Plate readers these special stories too! Second in the series, “The Man from Gila River,” tells the farming and ranching story of Wilbur Lunt, a still-active Arizona Farm Bureau member. His story is as much about his love for the Gila River as it is about his family’s farming history in Arizona. This entry was posted in Arizona farmers and ranchers, Uncategorized and tagged agriculture, American Farm Bureau Federation, Arizona, Arizona Agriculture, Arizona Farm Bureau, Gila River, Julie Murphree, United States. Bookmark the permalink.